AS someone with fond memories of family holidays entered around the swimming pool I kind of take it for granted that children learn to swim at a young age. I can remember jumping into the water, splashing around on lilos and generally having a good time. As I got a bit older, swimming became more than just fun and I joined a local club, making my way up through the ranks to the top lane within a few months. I learned to dive off the starting blocks, mastered butterfly stroke and competed regularly. I was a late starter to the club, not joining until I was 14, but believe my rapid progression was down to my confidence in the water, which I gained at a young age. So I was shocked recently to find out that 49 per cent of parents don’t actually teach their children to swim. Research by Baby Swimming Shop also shows that almost half of children can’t swim a length of the swimming pool by the time they leave primary school at the age of 11 – this is quite worrying as not only is swimming a great family activity, but it could prove to be a life-saving skill. The reasons given ranged from not having time, to the cost of lessons, body confidence, and even a lack of clean changing facilities, which is a worry in itself! The majority of parents who do teach their children to swim, said they start lessons before their little one’s first birthday – and this is where we fit in. I was so keen to sign Santi up, and he was 12 weeks old when we first took to the water together. It might have been a rocky start, but now his favourite thing to do as a family is go swimming. He’s already quite confident in the water and we had to buy him arm bands to give him more freedom as he refuses to be held. I have to admit though, it has been trickier to get to the pool with Ezra (poor second baby) … fitting in lessons between nursery drop-offs and pick-ups, or arranging extra childcare for Santi has made it difficult. I do hope we manage to work around this as I’d love for him to have the same love of swimming as Santi. 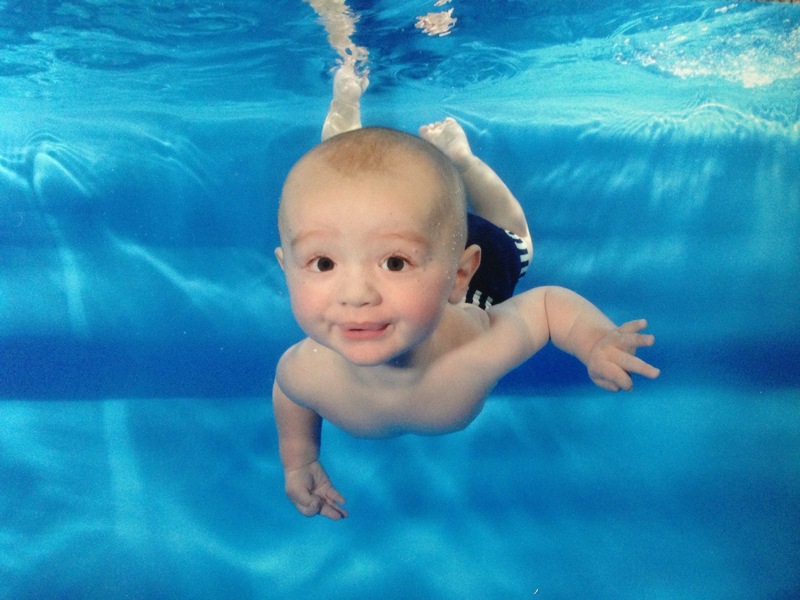 We’ve had such a positive experience of swimming with Santi that when we were delighted to be approached by Baby Swimming Shop to take part in an ebook encouraging parents to swim with their children. Along with some other parent bloggers, we’ve shared our stories and tips for people wanting to take to the water with their youngsters. There are also some great tips from swimming instructors to help parents who maybe aren’t that confident themselves. So have a little look and see if you pick up any tips to make your first trip to the pool less stressful! Aw how sweet! I remember learning to swim as a kid, and becoming a total water baby! Swimming is a great skill to learn (though personally I can’t swim). Our older son learnt to swim quite early, but the younger one doesn’t like the swimming pool and refuses to go there. Learning to swim is a non-negotiable in our house. We were fairly rubbish at getting the kids in the pool when they were really little but the big two started council run swimming lessons at 3 years old. Oh my goodness that photo of him under water is simply amazing! I have always loved swimming and was introduced to it when I was young. I grew up swimming in the sea in rural Cape Breton, Canada. Outdoor swimming was the only option we had and I loved it. I find the chemical laden public swimming pools available in the UK incredibly unpleasant to swim in – they burn the eyes, dry out the skin and it feels a bit like a hampster in a ball – you can only go so far before you have to turn around. No. Fun. At. All. So yea, we rarely go swimming, although my kids don’t know any better (how awesome wild swimming is – it’s too cold in this country!) and they do love the pool. I should take them more often than I do, but I really don’t like public pools. I really wanted my son to start swimming in the initial months but my husband wasn’t a fan of it so I had to wait it out till the year and I have enrolled him in his swimming classes due next month! Its super important for children to learn swimming from the very beginning! What a cute little guy, he’s very photogenic. 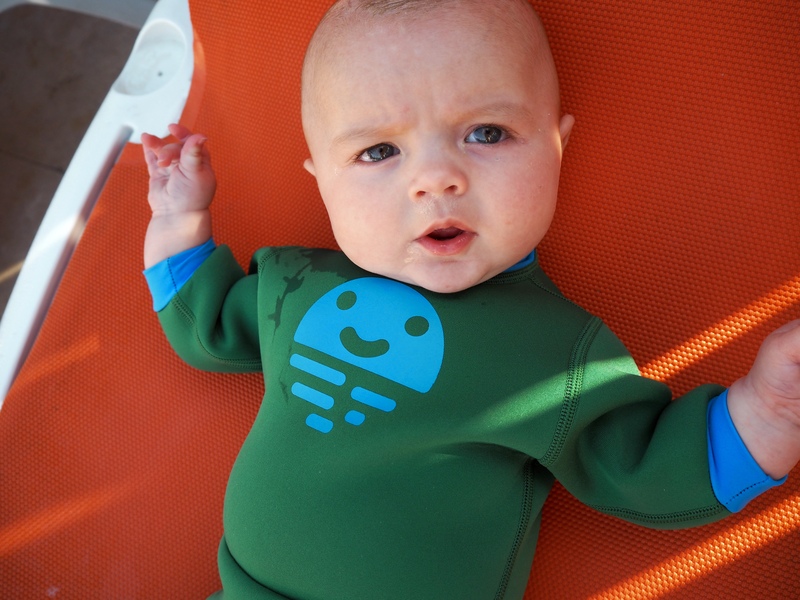 It’s great that you are teaching him to swim so early. I wish that I had done the same with mine. Fab post. Love the underwater shot so much. Did you do Waterbabies? We have the exact same photos that we did with our baby. I love them! They are fab photos, aren’t they? I love them too! Awwww this is lovely! I wanted to take mine when they were babies to learn to swim as they did underwater babies near us! We didn’t in the end but they both LOVE swimming and water!